Didn’t I just do this? 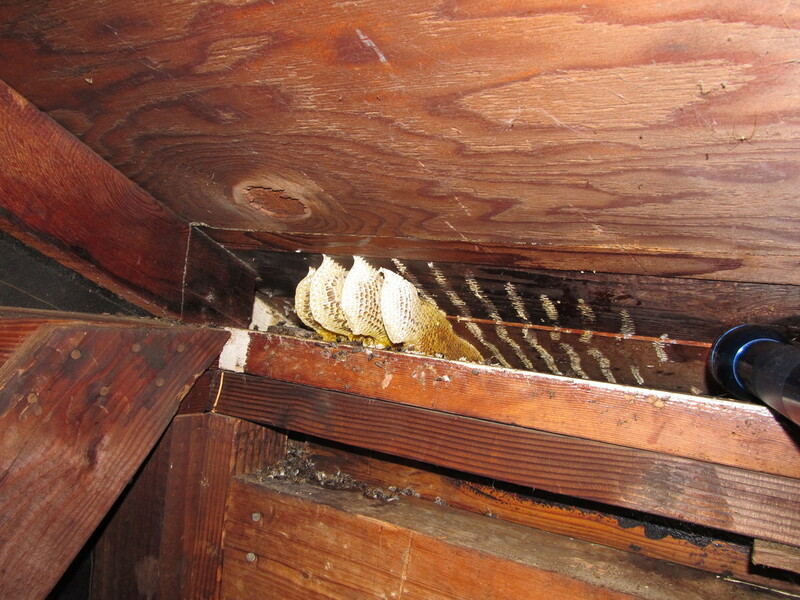 I just had a beehive removed from my garage last summer. And now there’s another one. This time, it was built into a little hollow space in the ceiling. The bees were going in and out of a little hole on the outside, in my neighbor’s yard. I called All Valley Bee again. They did a good job last time, so I didn’t have a problem with using them again. 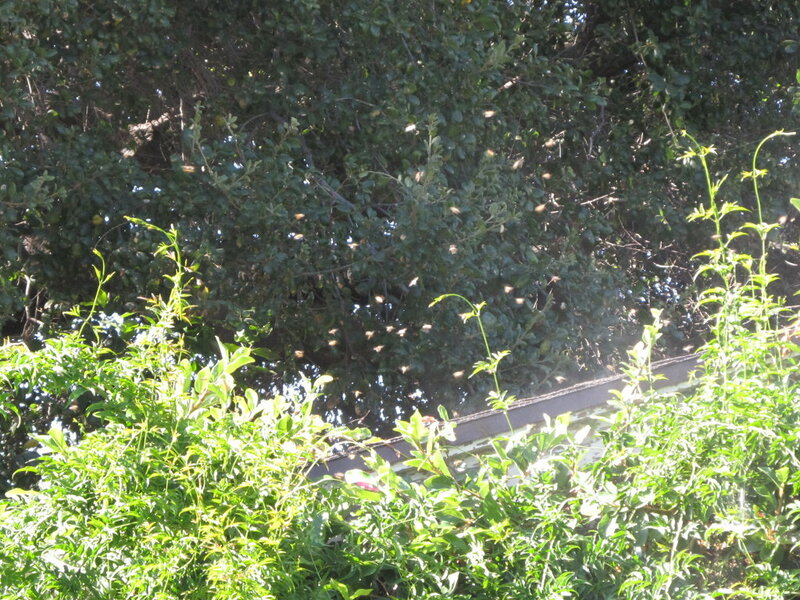 They came out last Wednesday and sprayed the hive to kill all the bees. 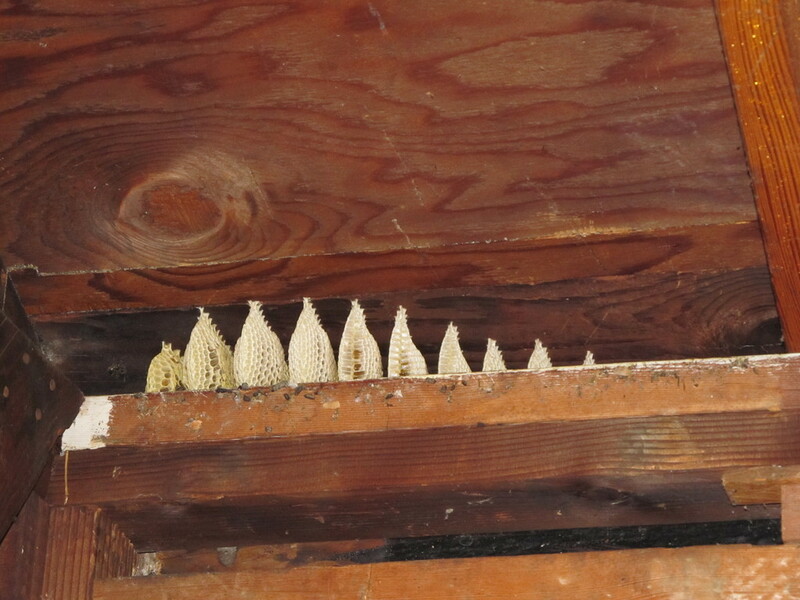 And today they came back to pry open the ceiling in the garage and remove the honeycomb. 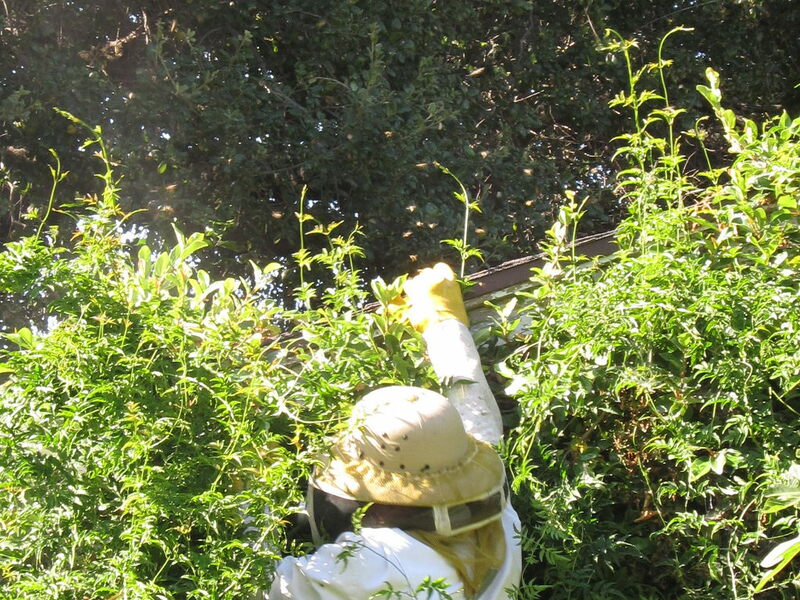 This hive was quite a bit smaller than the one last year, and it didn’t take them too long to dig it out. Then they stuffed the space with fiberglass insulation and caulked the hole from the outside. So presumably, no more bees. I asked them what happens to all the honeycomb they take out. Apparently, it’s considered toxic waste, since it’s all been doused with insecticide. So they have a special container they put it in back at their shop, and hazardous waste handler comes and takes it away for proper disposal. As long as they don’t ship it to China. But either way, they said they get a couple hundred pounds of it a day on average. Yick.